Bob Davids, the owner of Villa Keliki , is better known in the world of fine wines as the owner of Sea Smoke Cellars in California. Sea Smoke Pinot Noirs are enjoying worldwide fame for their excellent structure, and have been selected in Wine Spectators Magazine TOP 100 WINES, four times. The production is very limited, and there is currently a three year wait list to purchase Sea Smoke Pinot Noir. However, these rare wines are exclusively available to our guests at Villa Keliki. Additionally, and exclusively to villa guests: Villa Keliki is offering Sea Smoke Chardonnay Gratis. This limited production wine is extraordinary, and has never been offered for sale. It is touted as one of the best chardonnays by many a wine expert that has had the rare opportunity to sample this wine. In addition to the Sea Smoke wines, the wine maker from Sea Smoke Cellars produced 2 excellent quality wines at the Sea Smoke winery, exclusively for Villa Keliki. 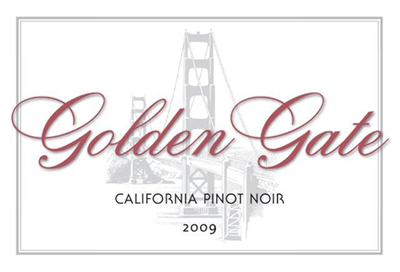 They named the 2 wines Golden Gate Pinot Noir, and Golden Gate California Red. Both are very fine wines offered at very reasonable prices to our villa guest. 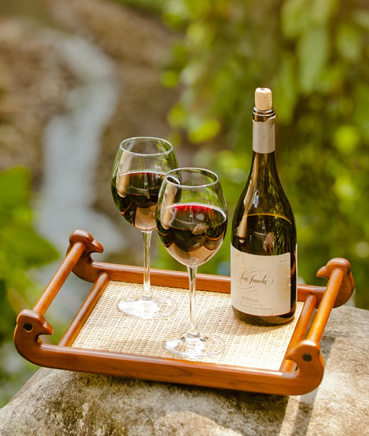 This Pinot Noir is a rich, fruity pinot with soft tannins and a long finish, a feminine wine, which opens with pleasant bouquets of raspberry, vanilla and traces of oak. The California Red is a blend of three varieties: Sangiovese, native to Central Italy, Syrah, native to Rhone, France and Tempranillo native to Spain. It is a blend of hearty grapes that open with time into a complex, fruity more masculine wine…also a long, clean finish.